You can make sweet cream cheese icing just like Cinnabon does, it is easy to do. 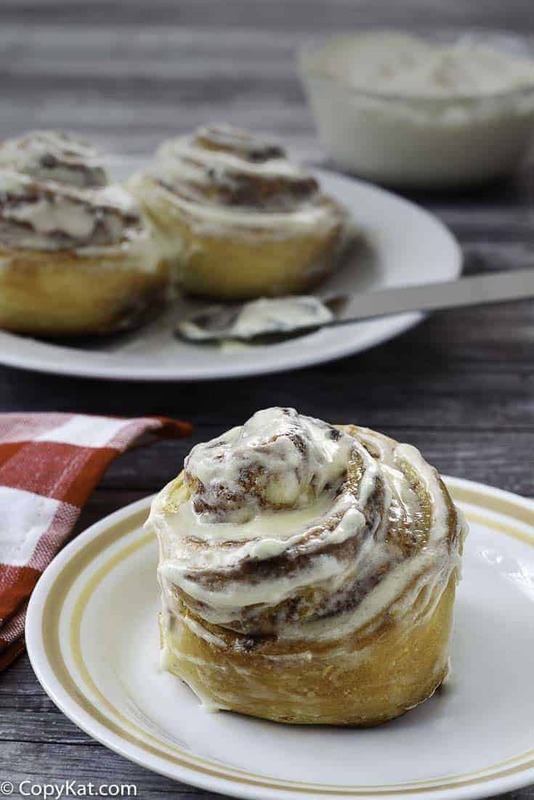 Recreate Cinnabon Cream Cheese Icing at home with this copycat recipe. Combine all ingredients and mix well. Spread over rolls that have cooled slightly. 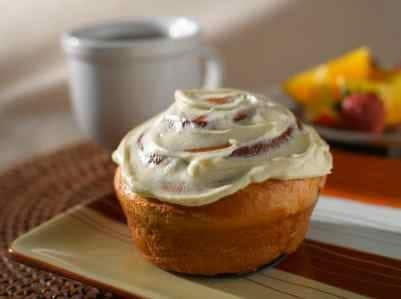 This icing is wonderful on cinnamon rolls! Why is it labeled Cream Cheese Frosting, but no cream cheese? Why does the recipe list 1 tsp milk and after the other ingredients, 1.5 Tbsp milk? what an idiot cinnabon has cream cheese icing duh!!!! Cinnabon icing contains just a tad lemon extract. I believe its either less than or equal to the amount of vanilla extract.